-- Melon mint stick packs (14 ct.) Lavender lemon stick packs (14 ct.) Lavender lemon 10.8 oz. 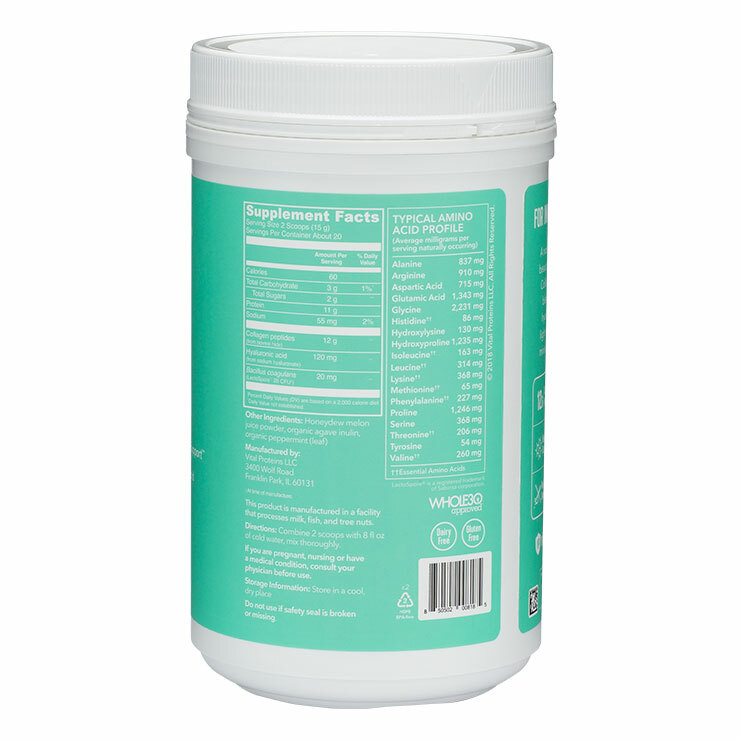 Melon mint 10.8 oz. 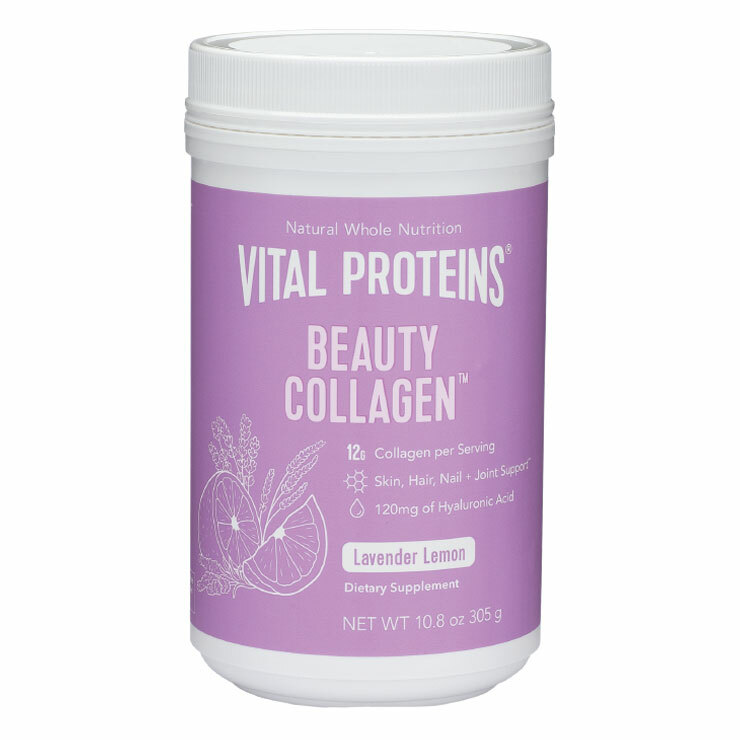 Easily incorporate collagen into your daily regimen with Collagen Beauty Water by Vital Proteins. 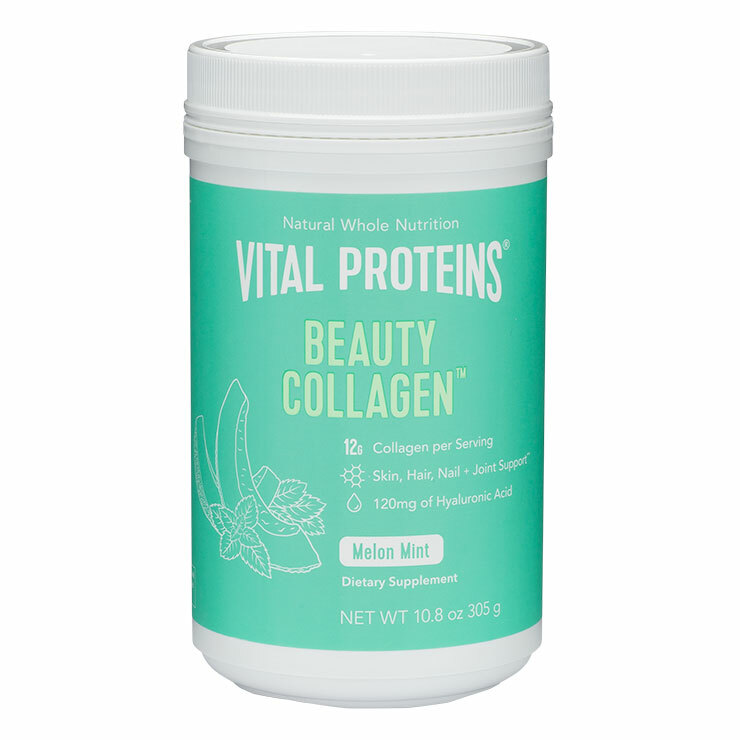 Crafted of bovine collagen, hyaluronic acid, probiotics, this blend visibly improves the look of skin, hair, and nails. Skin is left looking hydrated, firm, and glowing. Hyaluronic acid is useful in addressing signs of dry, dull skin, brittle nails, and thinning hair. 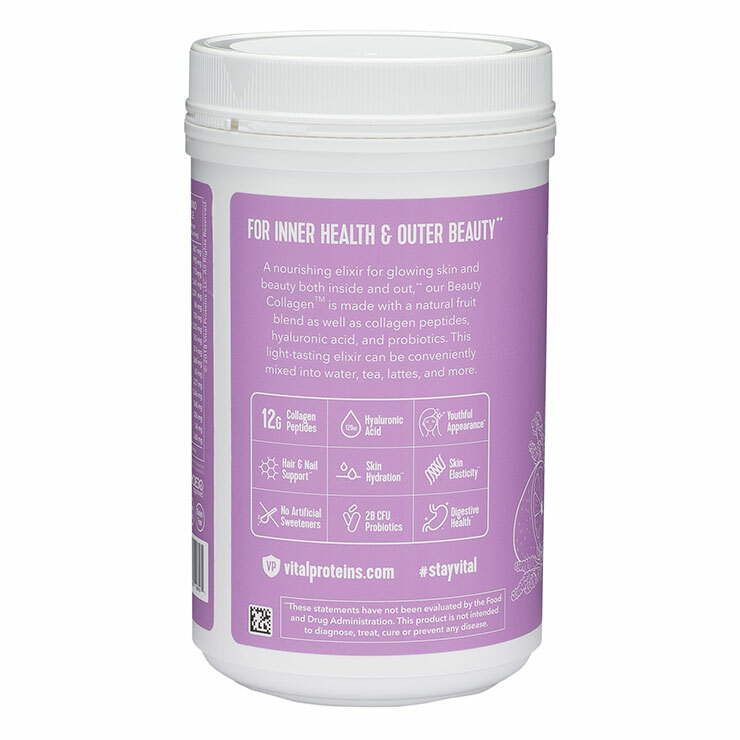 No added sugars and fillers, these beauty waters come in four delicious flavors and readily blend into teas and lattes, or simply add to a bottle of water for beauty on the go. Choose from strawberry lemon, lavender lemon, melon mint, and cucumber aloe. 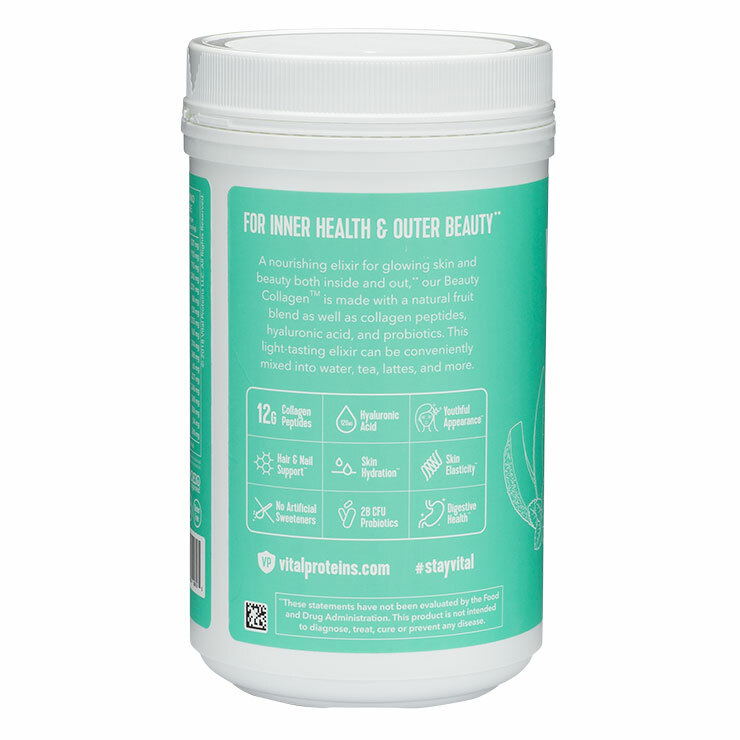 Add one to two scoops of collagen powder to water, teas, or lattes for a vitamin rich collagen boost. 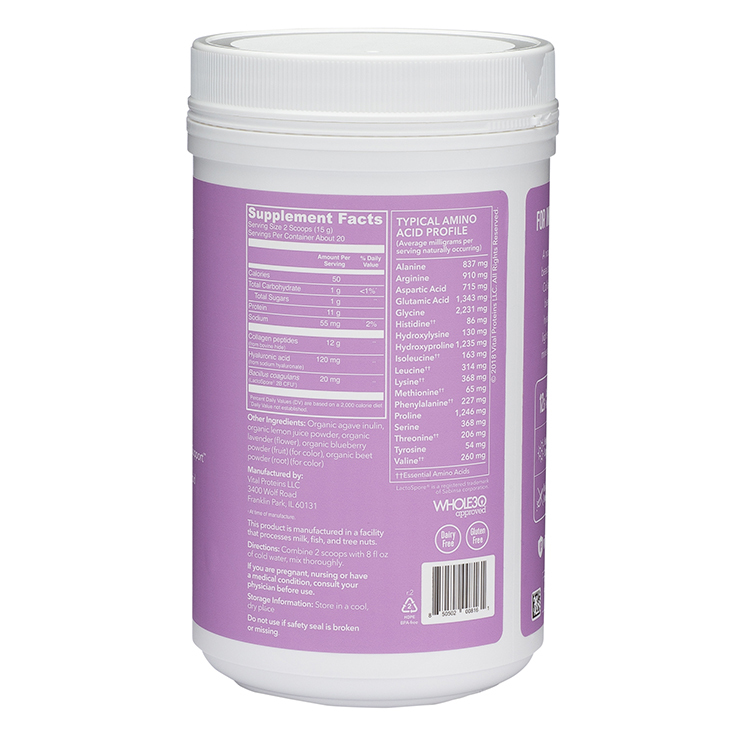 Use daily to beautify hair, skin, and nails, and promote a feeling of overall well-being. Melon Mint: Collagen Peptides (from bovine hide), Honeydew Melon Juice Powder, Organic Agave Inulin, Organic Peppermint Leaf Lavender Lemon: Collagen Peptides (from bovine hide), Organic Agave Inulin, Organic Lemon Juice Powder, Organic Lavender Flower, Organic Blueberry Fruit Powder (for color), Organic Beet Root Powder (for color), Bacillus Coagulans.